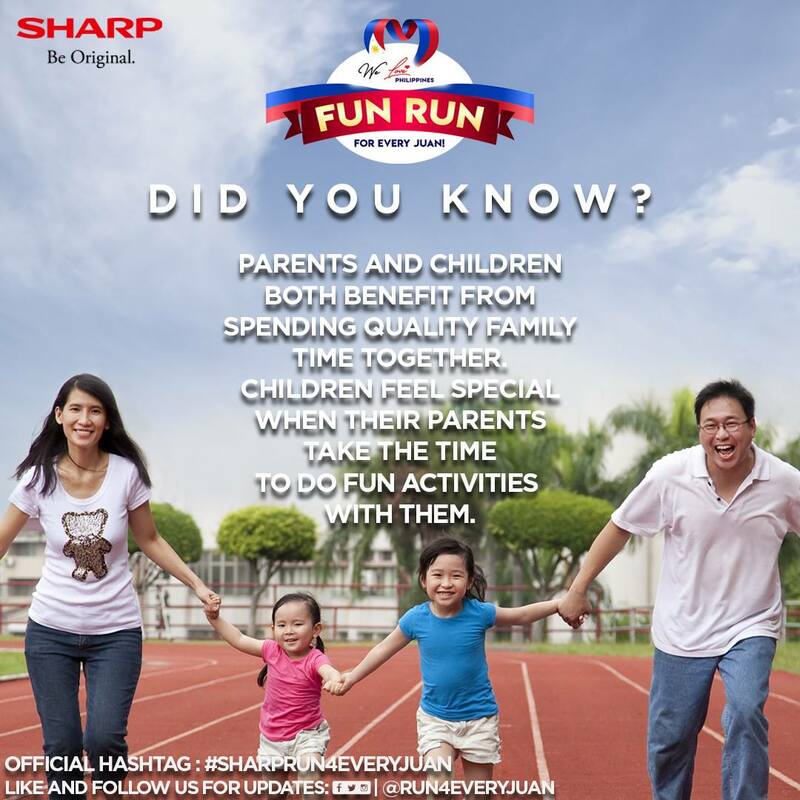 Sharp Philippines’ first ever #Run4EveryJUAN is just around the corner. That is why we list down everything you need to know about this year’s biggest pre-summer fun run event! 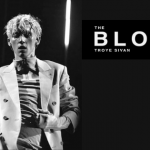 What are the categories and How much is the entry fee? Runners can choose from 1K up to 10K distance categories. On the other hand, entry fee ranges from P400.00 to P700.00, including singlet, race bib, finisher medal, and loot bags. All runners are expected to be on the venue at 3:30 AM. Starting February 20 until March 12, 2019, everyone can now have their in-store registration made possible by Gold’s Gym, the official store partner of the event. 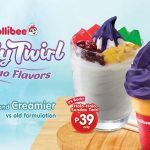 You can register at these following branches: Alabang Town Center, BGC, Bay Area, Sheridan, Circuit Makati, and Waltermart. For those of you who can’t find time to visit these branches, online registration is still on-going and you can register here. 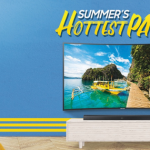 This event is organized by Sharp Philippines Corp. (SPC) and Red Sports Philippines which aims to celebrate every Filipino family through sports and other exciting activities. Moreover, a part of the proceed will go to the Dialysis PH Support Group Inc. This is part of SPC’s We Love Philippines campaign, honoring every Filipino who has been part of their 36 years of consistent success. Come join the largest gathering of Filipino families and friends in the spirit of patriotism and joyful celebration. Indeed, the family that runs together, stays together! 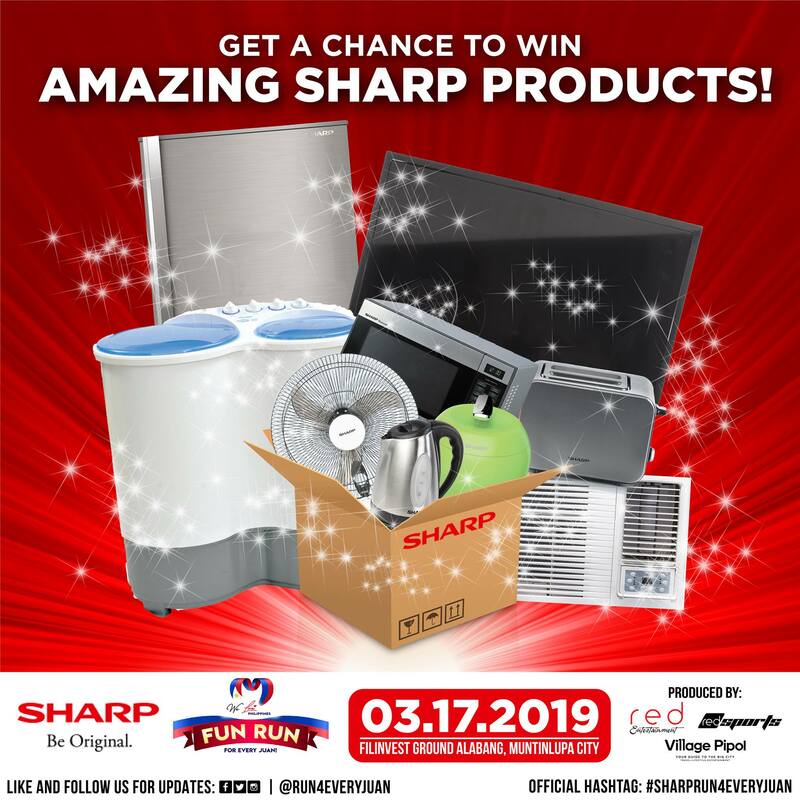 Of course, don’t forget about raffles and giveaways brought by Sharp Philippines. So save the date, peeps! 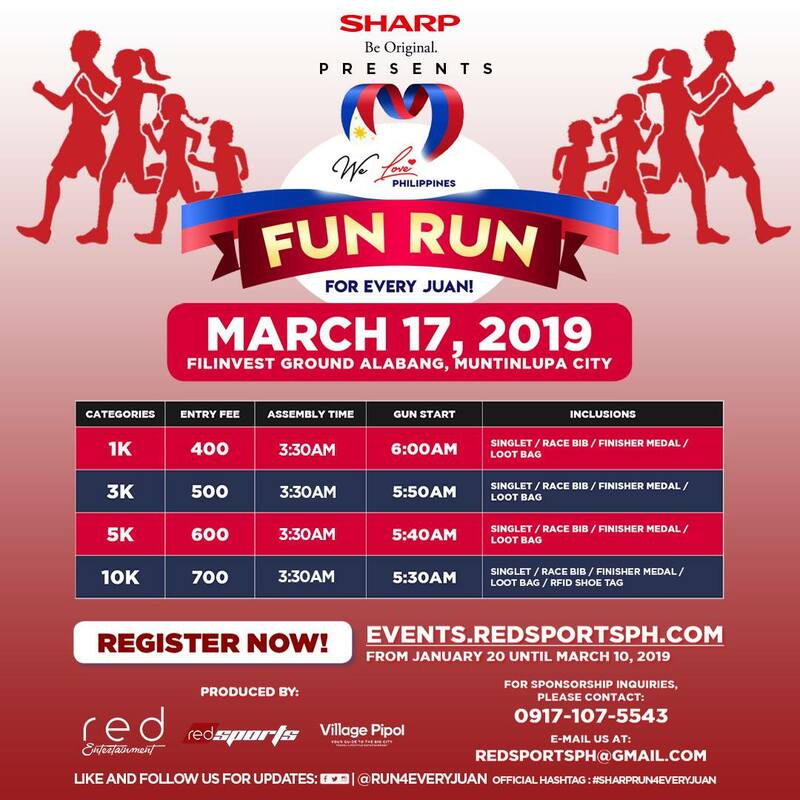 The Sharp Run 4 every JUAN will be held at the Filinvest Alabang this March 17, 2019. See you there! For further announcements, you can check out Sharp Run 4 Every Juan‘s Facebook Page.